Creating the perfect product label is a lot of responsibility. An excellent label design can make all the difference to the success of a product, especially considering how the majority of shoppers make their decisions about which products to purchase in-store. 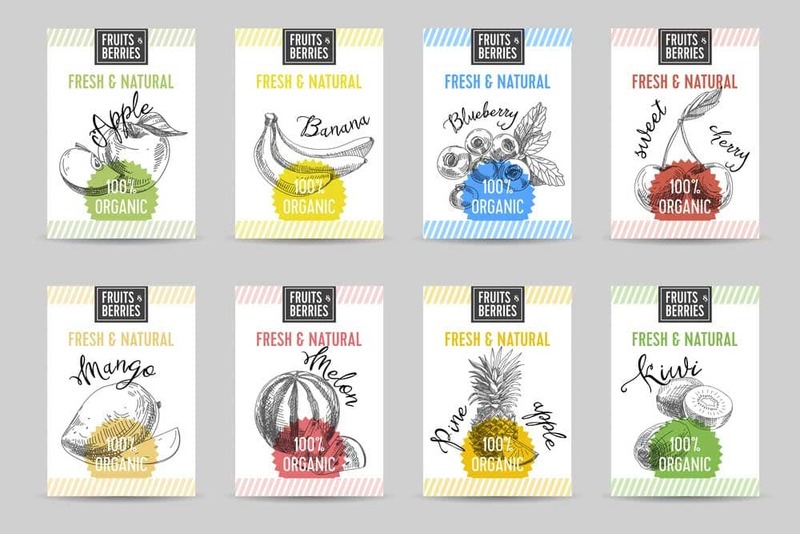 Below are 10 of the best tips to creating the perfect product label design. Before you start designing, even through rough sketches, it is essential that you do proper research. When researching product labels, you need first to find out who the target customers of the product are – their age, gender, values, education, etc. – these are all vital pieces of information that will help inform your design decisions. In addition to finding out about the target market, you should also research competing products/brands as much as possible. This information is important for a couple of reasons. Firstly, it will help you to avoid designing a label that’s too close to a competing product; and secondly, it will let you know what sort of design to create to appeal to that demographic. When creating a product label for a client, it is your responsibility to come up with a practical design. However, to come up with that plan, you will need some information from the customer. Is there a pre-existing logo design for the product? – This is critical to find out. Often there will be a logo that you can use, but this is not always the case. If there needs to be a logo designed for the product, then you will need to factor this in when coming up with a price for the label design. There are times when you will be able to use a font for the product name instead of coming up with a full logomark or symbol, but you should always discuss this with the client at the start of the project. Where will the product be sold? – This is another important thing to find out since it will let you know how to differentiate the product best. For example, if you are designing a product label for an orange juice product that will be sold in supermarkets, then you will need to differentiate it from all the goods it will be placed next to on the aisle. A product that is only sold online will require a different approach. Whom is the product aimed towards? – Although the product itself will give you some indication of who the general target consumer is, you want to find out as much as possible early on. Just knowing a product is aimed at women under 30, or men aged 18-30, won’t give you enough to create the best type of label. You want to find out what their values are, their level of education, what other kinds of products they typically buy – anything that will help you when designing the label. What is the USP of the product? – You will also want to find out from the client, what the unique selling point of the product is. If the product has a defined USP, then this is certainly something you will want to push through the design of the label, whether it is using words, images or both. 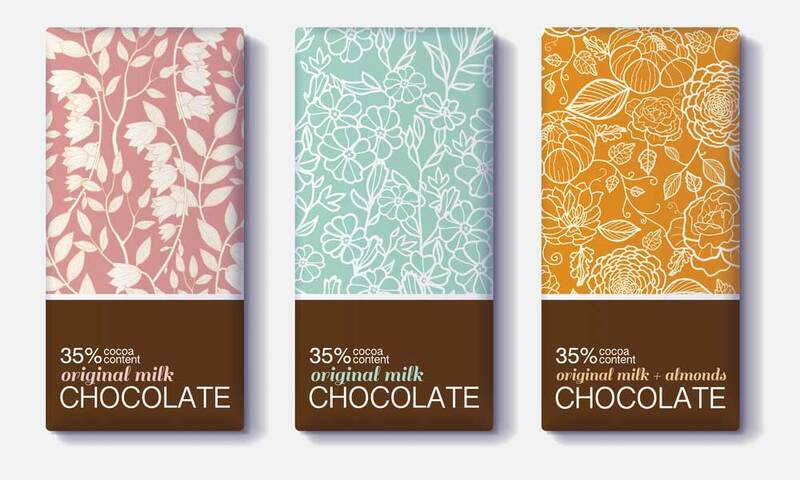 Product packaging labels are not easy to create well, so you want to equip yourself with as much information as possible before starting the design process. Often when designing on behalf of a client, the packaging materials that will be used will not have been decided. This is perfect as it allows you to have input and think about the best overall aesthetic for the product you are designing. 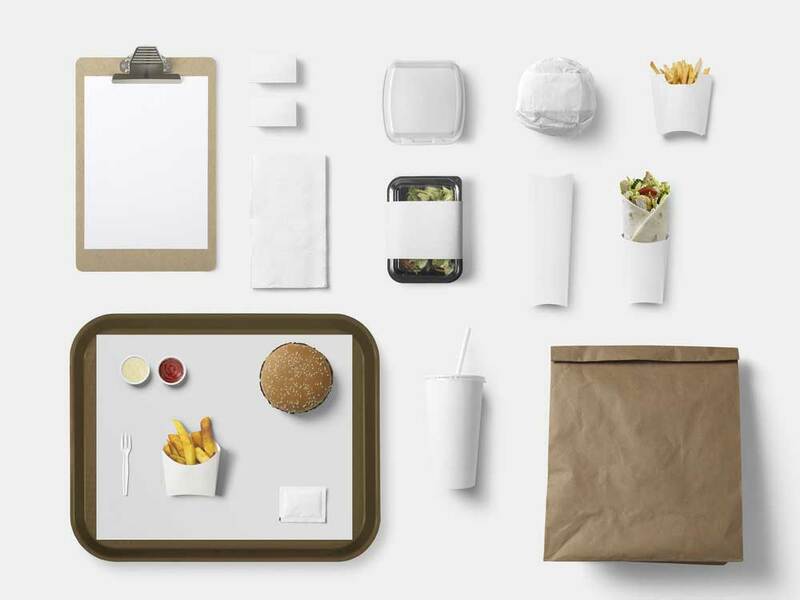 In cases where the packaging material has already been agreed upon, then you certainly want to know everything about it – its size, what it is made from, whether it is transparent or opaque, etc. This is all vital information that will inform the decisions you make when designing the label. Designing a product label not only means creating an eye-catching design that will help to sell the product but also providing vital information to consumers. Certain elements obviously demand prominence on the label, namely the name of the product, the slogan and the company logo. When it comes to the rest of the information on the label, you have to decide how and where it will be displayed on the packaging. Some essential pieces of information you will need to include on the label include, the barcode, price and nutritional information. Choosing the right colours is one of the most important aspects of designing a great product label. The colours you use will depend on many factors, including the type of product you are designing the label for, who the target consumer is and the colours used by competing brands. Often the colours you use will be informed by the overall design of the packaging. For example, if you are creating a label that has a lot of upbeat imagery and playful typography then it makes sense to use bright and bold colours to match the overall theme. Overall the colours of the product should help it to stand out from competing brands as well as catching the eye of consumers. A typical product label will contain a lot of text and therefore choosing the right typography to reflect the product is key. Because there will be a lot of information on the label, you first want to think about what typography you will use for the most important parts of the design, such as the product name and slogan. Depending on your skills as a designer, you might choose to create custom hand lettering for the label, rather than relying on a pre-existing font. The advantage to this is that you can create something unique to the product. The ultimate goal of a product label is to firstly catch the eye of consumers and then convince them why they should purchase the product. The best way to do the latter is by pushing the USP of the product. Sometimes a product will not have a defined USP, but even if it does not, you can still push the positive points of the product, whether it is that it is healthy, good value, convenient, etc. Knowing the USP of the product will not only help you to decide what information should be most prominent on the label, but it will also help you to make critical design decisions during your process. Typography and colours are imperative when it comes to a product label. Just as important though, are the visual elements of the design, the pictures and illustrations. Pictures and illustrations are particularly useful for creating a feeling around the product that you cannot do with words alone. The type of imagery you want to use and the style it is in will depend a lot on the product you are designing for. If you were designing a label for a new flavoured beer from a local brewing company for example, then you might include imagery of beer barrels or a pub in a rustic style. You might have something very elaborate in mind such as letterpress typography, raised design elements, etc. However, this may not be practical for your client. Therefore you should always find out what restrictions there are, if any, before beginning the design. This is something to know upfront since you do not want to get halfway through the design only to find out that a particular colour you have been using isn’t possible. When creating a design on behalf of a customer, you should always make sure to keep them updated and engage them in the design process. Different designers have different approaches when it comes to how much they engage the client in the design process. Some prefer to include the customer as much as possible at each stage of the design so they can get their approval. Other designers will only provide minimal updates. In either case, it is important to get feedback before committing to any significant design changes since there might be a good reason why the client does not want that. 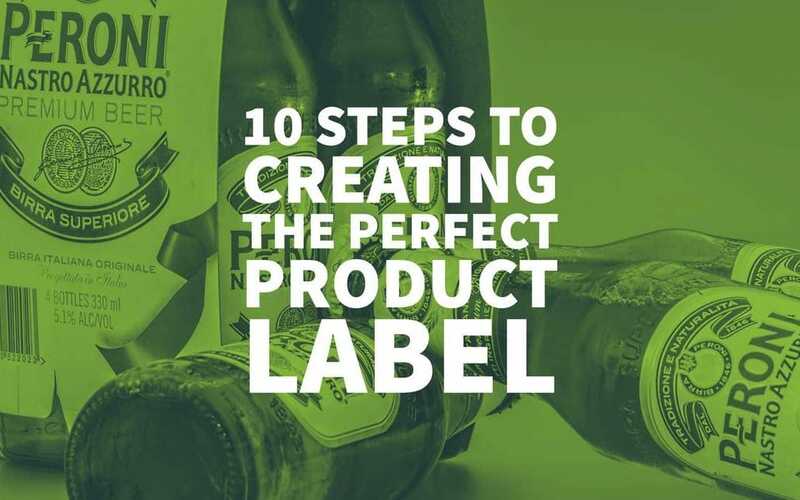 By following the 10 steps to creating the perfect product label, laid out above, you give yourself an excellent chance of designing product labels that will help to increase sales and stand out from the competition.